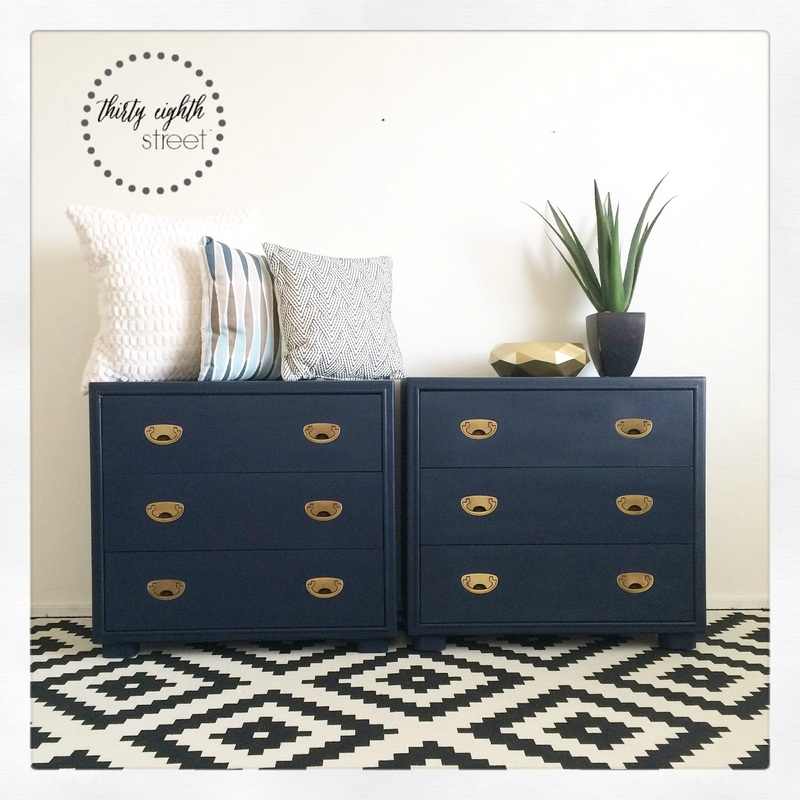 ** Country Chic Paint provided me with the products for this furniture makeover, however the thoughts and opinions expressed here are out of 100% delight! I live in a city full of retirees and I love it. They exude wisdom, compassion for my children, and for the most part are so friendly. Another perk?! 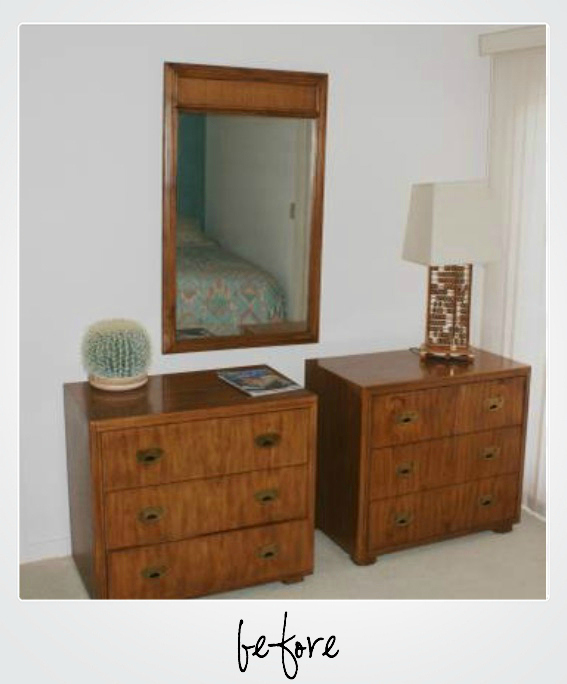 They often downsize and sell some of the best furniture pieces for amazing prices. I recently had the pleasure of meeting a kind old man who was selling a pair of campaign style nightstands from their guest room. I'm pretty sure they didn't entertain guests often, because these were in breathtaking condition. Um, if they were in such great condition, why did you paint them? 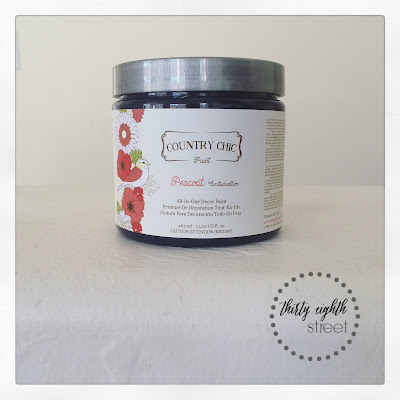 Head on over to Country Chic Paint to find out why! 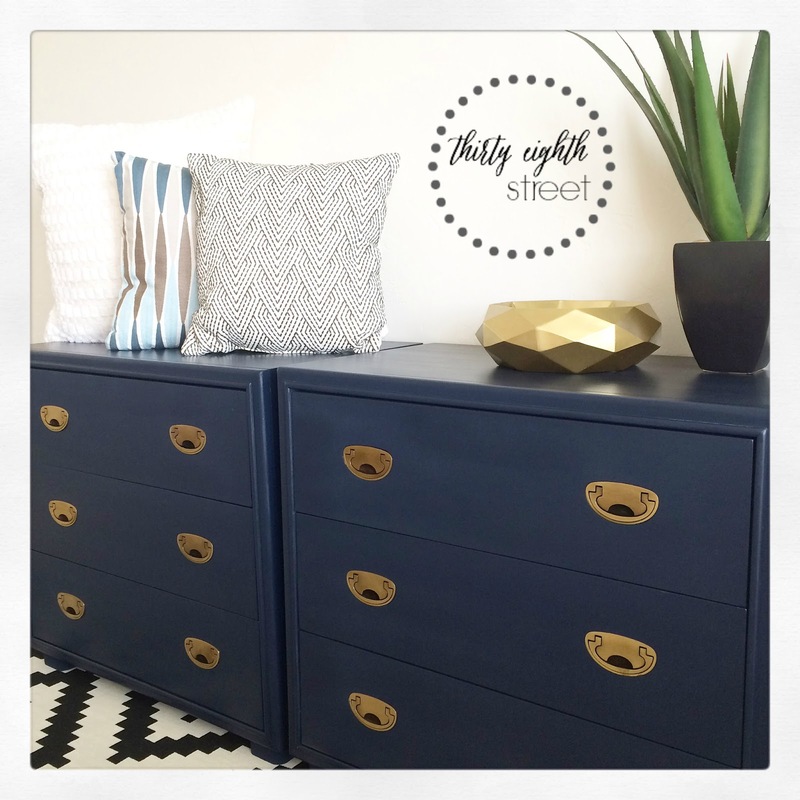 I took these unflattering chests and paired them with one of my favorite paint colors from Country Chic Paint and transformed them into eye catching pieces. 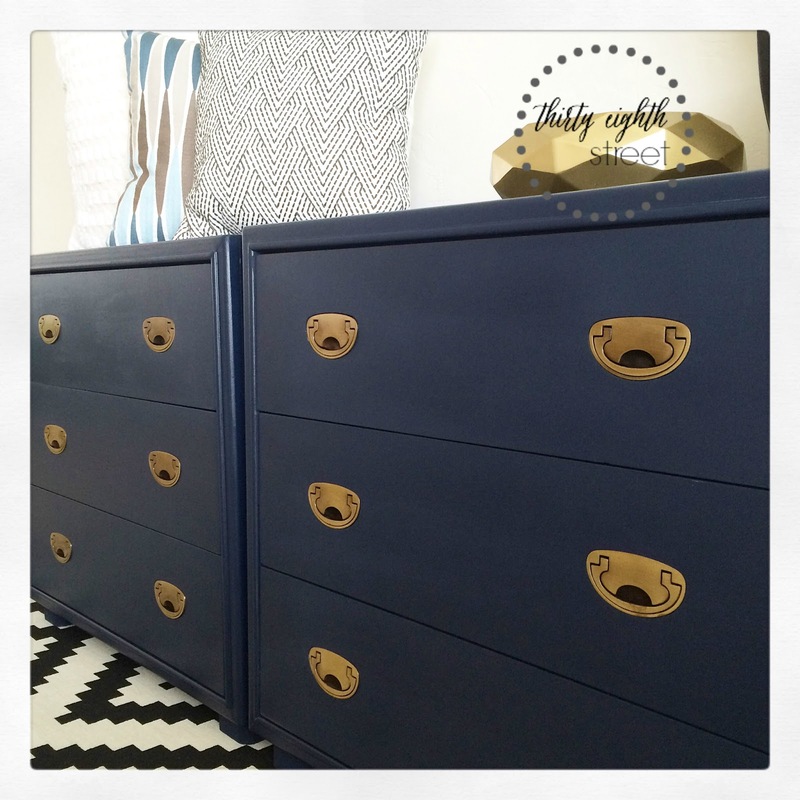 The contrast between the brass hardware and this bright and bold navy hue makes me smile. We're taking this furniture makeover to Country Chic Paint today. While you're there, sit back and enjoy a treasure trove of inspirational projects from some wonderful talented bloggers! Just gorgeous! Sharing this morning on the Link Party! Ah, I appreciate it Suzanne! Thank you! Thanks so much for sharing at Friday's Furniture Fix Carrie. Love the blue and navy combo! The transformation is gorgeous! Thanks for sharing at Snickerdoodle Sunday. Pinned and Tweeted. I'm glad you liked it.. Thank you for sharing, Beverly! Just wanted to pop over to let you know that your beautiful Wilkerson Nightstands have been featured this week on Snickerdoodle Sunday @ MyHusbasndHasTooManyHobbies.com Thank you so much for linking us this awesome project with us! Yay! Thank you for letting me know, Laurie! What a beautiful transformation! I love the color, too. Thanks so much for sharing your project with us at Funtastic Friday. Always! Thanks for the hosting a great party!